Saint Paul’s Year of Music, the Knight Foundation Arts Challenge, 89.3 The Current, Amsterdam Bar and Hall, curious incident, and McNally Smith College of Music present WAYFARER – a series of three immersive arts experiences that will transform and activate nontraditional venues in Saint Paul. The three spaces selected for this grant funded project will tell the story of Saint Paul’s transition from a river town, to an urban industrial hub, to a vibrant arts and cultural community. The location for the artful parties will be kept secret until 24-hours before the party begins. 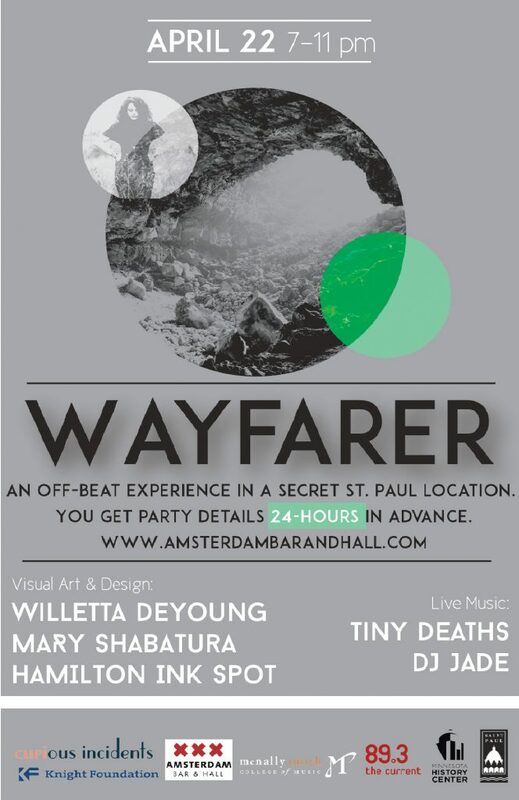 WAYFARER is kicking off a series of three pop-up artful invasions of surprising party venues in Saint Paul. The first event will be April 22, and will bring together local band tiny deaths, DJ Jade (from The Current), visual artists Hamilton Ink Spot and Willetta DeYoung, and lighting designer Mary Shabatura for a night of transformative fun in a secret venue. tiny deaths is the moody, dream-pop brainchild of producer Grant Cutler and vocalist Claire de Lune. 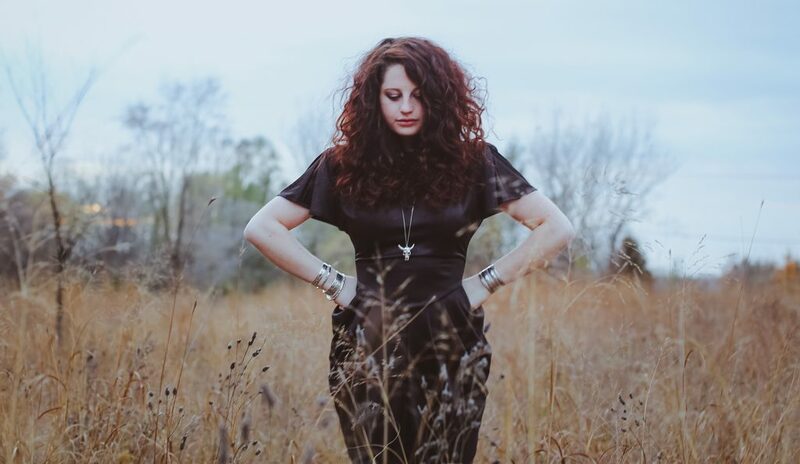 Together, Cutler’s booming bass and lush soundscapes and de Lune’s rich, soulful vocals unite to form a wholly alive and fresh take on a moody, dreamy, ethereal sound bringing to mind bands like Phantogram, Beach House, and Purity Ring. 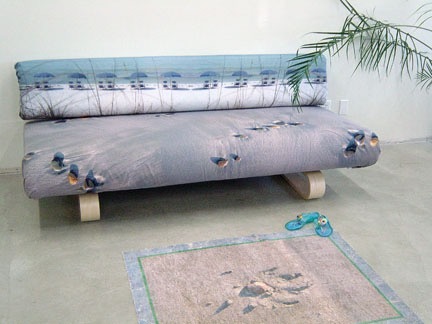 Wiletta De Young is a textile artist who mixes technology, design and textiles to create unique, transformative pieces. Mary Shabatura is a Twin Cities based Lighting Designer. She designs for dance, opera, and theater, and frequently embraces non-traditional spaces in her designs. She holds a B.A. 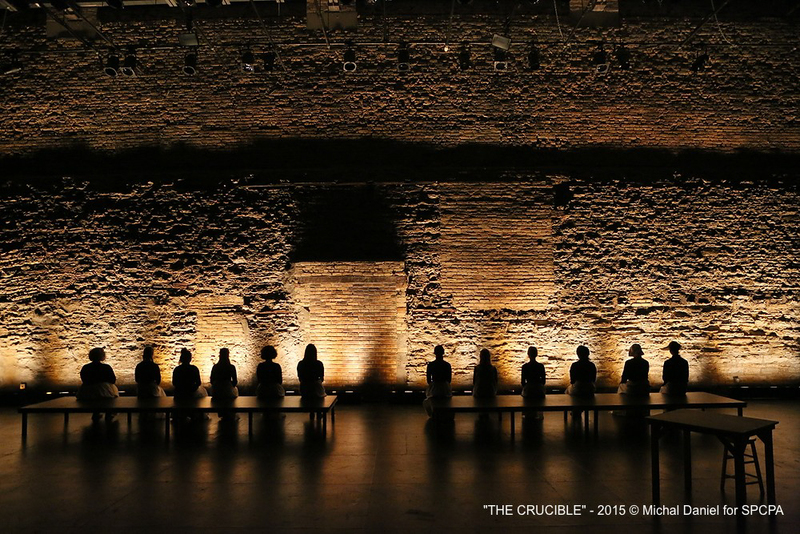 in Theater Arts from the University of Minnesota – Twin Cities. 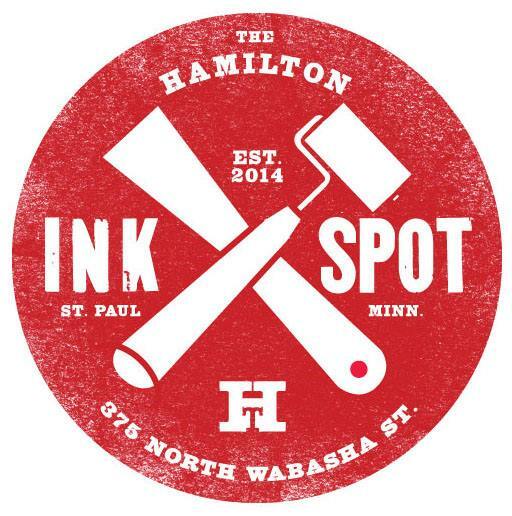 Hamilton Ink Spot is a printing studio and poster gallery located in downtown Saint Paul. It’s sponsored by the Hamilton Wood Type and Printing Museum. Amsterdam Bar and Hall is Saint Paul’s premier and most versatile music venue, bar/restaurant and event space and sister bar to the 331club in Northeast. 89.3 The Current brings listeners the best authentic new music alongside the music that inspired it, from local to legendary, indie to influential, new to nostalgic. Knight Foundation Arts Challenge draws the best and most innovative ideas out of local organizations and individuals seeking to transform the community through the arts. McNally Smith College of Music is a contemporary for-profit music college located in Saint Paul, Minnesota. Helping students build contemporary careers in music for nearly 30 years. curious incident produce events that celebrate the rich history of a place by transforming underutilized spaces and historic buildings into creative wonderlands that spark the imagination and provide memorable, one-of-a-kind experiences for their audience.